Colorado is joining a list of states attempting to overturn the way Americans have selected their presidents for over two centuries. 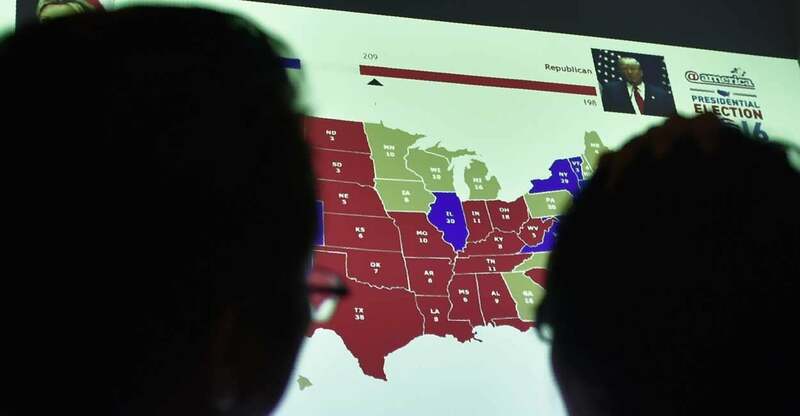 The Colorado Legislature recently passed a bill to join an interstate effort called the “interstate compact,” to attempt to sidestep the Electoral College system defined by the Constitution. Gov. Jared Polis, a Democrat, called the Electoral College an “undemocratic relic” and vowed to sign the bill into law. So far, 12 states representing 172 Electoral College votes have passed the initiative into law. With the addition of Colorado (which has nine votes), that number will rise to 181. They need 270 for the compact to go into effect. It would then undoubtedly be challenged in the courts. Some major voices on the left were gleeful about the potential change. While the Constitution, intentionally, gives wide latitude to states to create their own electoral systems, the law passed in Colorado, along with the rest of this effort, would be unprecedented. It would be the first time states potentially outsource their Electoral College votes to the will of the nation as a whole, rather than having elections determined by their own voters. The result of this, ironically, could be very undemocratic. For instance, if the people of Colorado vote overwhelmingly for a Democrat, yet the total popular vote of the nation goes Republican, all of the state’s votes would go to the Republican, essentially overturning the will of the people in Colorado. The Electoral College is already fairly democratic. Nearly every state switched to direct, democratic elections of electoral votes in the early 19th century, as opposed to selection by state legislatures. What the national popular vote would do is overturn the concept of federalism, which recognizes that states have unique interests that deserve representation in the electoral system. We are not just a nation of individuals, but a nation of communities and states. Some have dismissed the Electoral College system as outmoded and unjust. But they are mistaken—the Electoral College system remains highly relevant and necessary today. The 2016 election actually demonstrated that. In 2016, states that had gone Democratic in presidential politics for a generation flipped to Republican, in large part because of a unique candidate who appealed to their interests. While one candidate capitalized on their support, the other took them for granted and focused elsewhere. The result was a startling upset that demonstrates why the Framers wanted an Electoral College. Without an Electoral College, candidates could more easily write off certain constituencies located in limited areas. The Electoral College binds those votes up with a larger mass of votes so that in order to win the whole, candidates have to appeal to the interests of more constituents. Under a popular vote system, candidates could ignore entire localities and focus on driving up votes among their natural supporters. Many on the left have also complained that the Electoral College gives an undue weight to small states, which, in their minds, are conservative. It’s true that small states are given a boost because Electoral College votes are based on population and Senate votes. Since every state automatically has two senators, small states do get slightly more weight per their population. But in practice, this ends up benefitting Democrats just as much as Republicans. In 2018, for instance, the 10 smallest states sent 10 Democrats and 10 Republicans to the Senate, and the 10 largest states sent 11 Democrats and nine Republicans to the Senate. This system of electors is not perfect, of course. But it is the best system for a large and diverse country like the United States, as it favors candidates who do the best job of appealing to diverse interests and not just the big population centers. The mode of appointment of the chief magistrate of the United States is almost the only part of the system … which has escaped without severe censure. … I venture somewhat further, and hesitate not to affirm that if the manner of it be not perfect, it is at least excellent. In addition to protecting diverse interests, the diffused federal nature of the Electoral College is also a vital tool to counteract election fraud and contentious recounts that could undo the public will. Imagine if the 2000 recount of the presidential contest between Al Gore and George W. Bush included not just Florida, but the entire nation. That’s what would have happened if the Electoral College weren’t in place to isolate election systems from each other. It doesn’t take long to see how the new system that the Colorado bill aims for could become a nightmare to deal with in other ways, too, especially in tightly contested races. This Twitter thread explains one highly plausible scenario in which the national popular vote is decided by around 100,000 votes—a tiny margin given the nation’s population is over 320 million. If Colorado were to narrowly choose a Democrat, while the other states chose the Republican by a wide margin, Colorado would have no way of making the other states conduct a recount. The people of Colorado would essentially be forced to throw the election to a candidate they didn’t support. Even more problematic is the effort in New Jersey to strip President Donald Trump from the state ballot over his refusal to release his tax returns. This willlikely be ruled unconstitutional, but consider what it would do if implemented under a national popular vote: With Trump off the ballot in all of New Jersey, it would skew the vote for the entire nation. Interestingly, stripping a candidate from the ballot has been used as a tactic against a Republican presidential candidate before. Southern states made it nearly impossible to create ballots for Abraham Lincoln in the 1860 election, which severely depressed his support in those states. Fortunately, because of the Electoral College, Lincoln was able to win without these states, even though he ended up with only around 39 percent of the popular vote. If the nation had simply taken a popular vote at the time, Lincoln may never have been elected president. At the end of the day, the Colorado law is unlikely to ever be put into effect, despite the best efforts of activists. It’s important to note that while Supreme Court Justice Ruth Bader Ginsburg has publicly voiced support for abolishing the Electoral College, she has said it would take a constitutional amendment to do so. Given the unlikeliness of such an amendment—which, according to Gallup, actually reached a high point of popularity after the 2016 election—national popular vote activists have turned to more indirect means to accomplish their ends. This misguided attempt to subvert the Constitution and abolish the Electoral College has been cooked up for partisan purposes. It is based on the false notion that Hillary Clinton’s defeat in 2016 reflected a failure in our electoral system—not an abysmal candidate—and that this “relic” from the founding stands in the way of progressive dominance of U.S. politics. Such a view is not only partisan, but historically ignorant. It overlooks all that the Electoral College has produced—chiefly, a stable political system that forces politicians to reckon with our nation’s diverse needs. We would be wise to cling to that system and reject these machinations to upend it.